Intel, which is the world’s leading chip manufacturer, attempts to get on with next-generation mobile connectivity technology which isn’t an unfamiliar thing now. However, they’re looking forward to bring 5G ecosystem in the upcoming years although meanwhile, they teased they’re bringing the prototype of their 5G modem to display in the next week’s Mobile World Congress (MWC) 2018, at Barcelona. The fact comprises of their projects where, according to them, they, along with other leading PC manufacturing companies like Dell, HP, Lenovo & even Microsoft, have collaborated to bring 5G enabled Windows PCs in the second quarter of 2019 for which they were working for a long time till now. 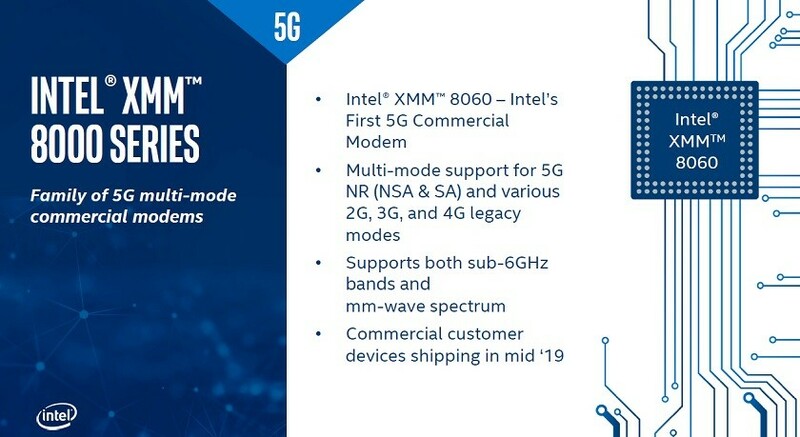 Adding to this, they also announced their XMM 8000 modems which they’ll be implementing in the new 5G notebooks. However, seeing all these news one can surely tell that 2019 will encounter 5G technology. It is also expected that 5G will be built-in in the upcoming Microsoft Surface. 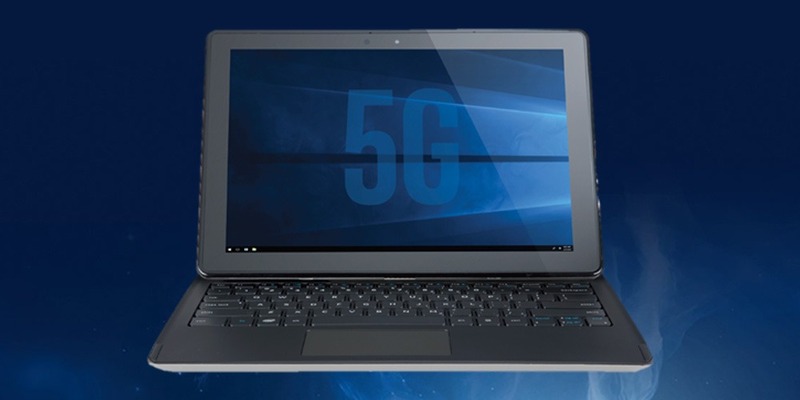 Moreover, as far as the functionality & in-depth details are concerned, Intel will be demonstrating the whole concept, and working principle of 5G enabled 2-in-1 concept PC which is powered by its 8th-generation Core i5 processors during this Mobile World Congress (MWC). “In our [MWC] booth as well, we will have a chipset base first 5G-enabled 2-in-1 concept,” according to Rob Topol, Intel GM of 5G Advanced Technologies. 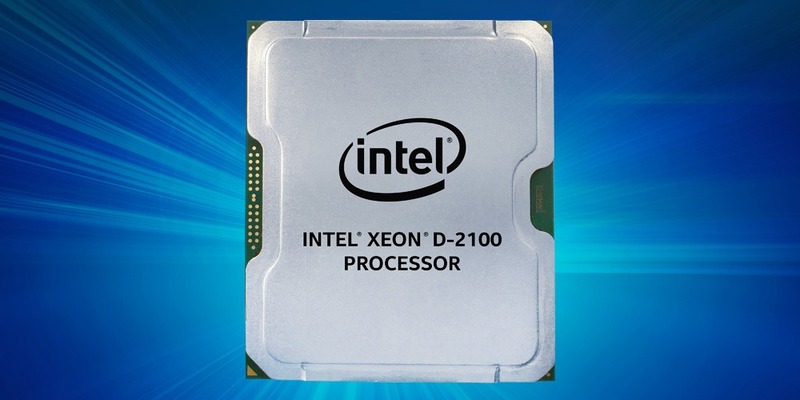 Among these updates, there also was another update on Intel’s D-2100 processor was unveiled earlier back this month, provided by Rob Topol in which he mentioned that this processor would also enable edge computing for 5G networks. We do expect there to be a significant amount of growth in edge computing in the 5G era. This helps not only from a latency standpoint but again is helping offload networks and just being more efficient with communication” according to him. As per the configuration, it is made up of 14nm process technology, up to 18 cores and 36 threads, up to 512GB DD4-2666 ECC and up to four channels of memory support, hyperthreading, Intel Virtualization Technology, Intel QuickAssist Technology with up to 100Gbps of crypto, decrypt, and encrypt accelerated processing offload. Compared to its D-1500 chips, Intel also said that the D-2100 provides 2.9 times network performance improvement, 2.8 times storage performance improvement and up to 29 percent L3 network packet transfer performance improvement. It also includes up to 32 PCI Express 3.0 lanes, up to 3GHz with single-core Intel Turbo Boost Technology 2.0, up to 20 lanes of configurable flexible high speed I/O, Intel Mesh Network Architecture, Rebalanced Intel smart cache hierarchy, Intel AVX-512 acceleration with up to 1 FMA, and Intel Ethernet with up to 4X 10GbE adapters. So, overall if these significant initiatives of adaptation of 5G infrastructure in upcoming laptops and phones are plausible than it’ll create a drastic change in the next generation mobile connectivity and network technology which in turn will be a result of powerful cellular connection in a seamless manner.